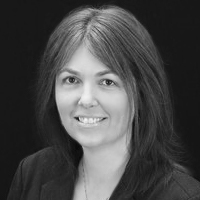 Jennifaye V. Brown, PT, PhD, NCS has a BA-Psychology (Emory University), a MS- Physical Therapy (University of Miami-FL) and a PhD-Exercise Science (University of South Carolina). Dr. Brown has 27 years of clinical experience focused in neurorehabilitation across the continuum of care and has presented numerous continuing education courses on adult neurologic assessment and treatment intervention for acquired brain injury. Dr. Brown’s special interests and extensive clinical background include gait analysis and training. 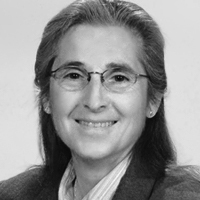 Her approach to effective gait analysis and treatment is to know the lesion site, understand neuroanatomical functions and along with past medical history, environmental, psychosocial and cultural factors, determine prognosis and devise realistic goals reflective of the client and caregiver’s lived experiences. She is the creative force behind the Stroke Gait Center, which is a collaborative effort to partner with healthcare professionals to fabricate AFOs (specializing in accommodating ladies’ footwear) utilizing 3D printing based on a full spectrum gait-related physical therapy evaluation. Her current research agenda explores the perceptions and opinions of individuals with stroke regarding their experiences with AFO fabrication, modification, and maintenance. As an Advanced Credentialed Clinical Instructor by the Clinical Instructor Education Board and a three 10-year term board certified neurologic clinical specialist by the American Board of Physical Therapy Specialties (ABPTS) of the APTA, Dr. Brown has taught at PT and PTA programs in Georgia and South Carolina (SC). She is a member of the APTA, Neurology Section of the APTA, SC Chapter of the APTA, American Heart Association/American Stroke Association, Aerobics & Fitness Association of America, and the Neuro-Developmental Treatment Association. 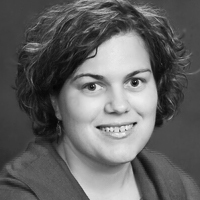 Dr. Brown is currently an Assistant Clinical Professor at Ohio University in the Physical Therapy Program. 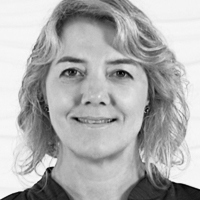 Donna Frownfelter PT, DPT, MA, CCS, RRT, FCCP is an Assistant Professor and Program Director for the Transition Doctor of Physical Therapy Program at Rosalind Franklin University of Medicine and Science, Department of Physical Therapy. She received her certificate in Physical Therapy from Northwestern University Programs in Physical Therapy and her respiratory therapy certificate from the University of Chicago. Her Master’s Degree is in Organizational Development and her Doctor of Physical Therapy from Chicago Medical School. She was awarded the first Distinguished Alumni Award from Northwestern University Programs in Physical Therapy. She also received the Babette Sanders Award from the Illinois Physical Therapy Association. Dr. Frownfelter is recognized internationally as a teacher, clinician, author, seminar leader and consultant in the area of patient with cardiovascular and pulmonary issues. She is co-editor of the widely used book, Principles and Practice of Cardiovascular and Pulmonary PT: Evidence to Practice, ElSevier, 2012. Dr. Gardner has been a physical therapist for 20 years with the last 15 concentrated solely on wound care. She became a Certified Wound Specialist in 2001 and successfully passed her re-certification in October 2011. Currently, Dr. Gardner is employed at Inspira Medical Center Woodbury as the Manager of Wound Care and Hyperbaric Oxygen Services, supervising both inpatient wound care and the outpatient wound and hyperbaric oxygen center. 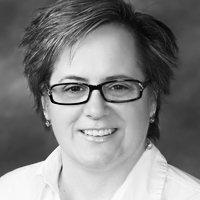 In addition, she has been an adjunct professor at College of St. Scholastica in Duluth, MN for the last 12 years, teaching Integumentary to doctoral physical therapy students. Dr. Gardner has presented both nationally and internationally on various wound care topics and continues to participate in research studies on new concepts in wound healing. 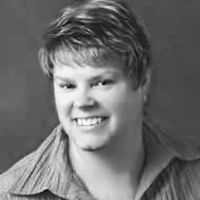 Dawn T. Gulick, PhD, PT, ATC, CSCS, is a Professor of Physical Therapy at Widener University in Chester Pennsylvania. She has been teaching for > 20 years. Her areas of expertise are orthopedics, sports medicine, modalities, and medical screening. 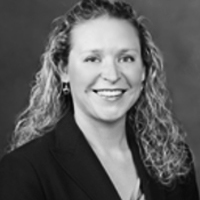 As a clinician, she has owned a private orthopedic/sports medicine practice. She also provides athletic training services from the middle school to elite Olympic/Paralympic level. As a member of the Olympic Sports Medicine Society, Dr. Gulick has provided medical coverage at numerous national and international events. As a scholar, Dr. Gulick is the author of 4 books (Ortho Notes, Screening Notes, Sport Notes, Mobilization Notes), 4 book chapters, > 50 peer-reviewed publications, and > 100 professional and civic presentations. She is the developer of a mobile app called iOrtho+ (Apple, Android, & PC versions). 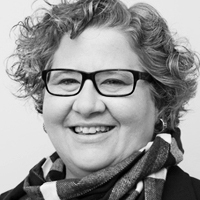 Dr Heitzman is an Associate Professor at Alabama State University where she teaches courses in geriatrics, neurological physical therapy, integumentary, pharmacology and research. She has been actively involved in the Academy of Geriatric PT holding various offices and currently serves as Vice President. She also serves on the Gerinotes editorial board, a manuscript reviewer for the Journal of Geriatric Physical Therapy and as the course co-coordinator of the CEEAA course series. Dr. Heitzman is board certified by the ABPTS in both geriatric and neurological physical therapy as well as having an AAWM certification as a clinical wound specialist. She is completing her research PhD in physical therapy at Nova SE University with focus on balance and aging. Dr. Heitzman has written educational monographs, published peer reviewed articles, co authored book chapters, and presented on various topics related to the aging adult at the state, national and international level. 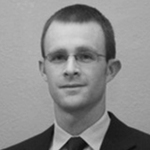 Dr Heitzman has served as book, manuscript and grant reviewer and as expert witness in various legal proceedings. Sh has served on various APTA committees both at the state and national level and was the recipient of the Joan Mills and President awards from the Section on Geriatrics (now the Academy of Geriatric PT). She continues working PRN for local clinics and home health agencies in the Auburn/Montgomery Alabama region focusing on advancing the role of physical therapy in promoting successful aging. Dr. Kenyon is an Associate Professor in the Department of Physical Therapy at Grand Valley State University in Grand Rapids, Michigan. She received her entry-level physical therapy degree at the University of Vermont, a Masters of Health Science from the University of Indianapolis, and a PhD from Nova Southeastern University. Dr. Kenyon has presented nationally and internationally on topics related to pediatric physical therapist practice, published journal articles pertaining to pediatric patient management, and authored book chapters related to application of clinical skills in physical therapist practice. Her current research focuses on topics pertaining to pediatric clinical education, clinical reasoning processes, and the impact of power mobility training for children and adolescents with severe, multiple impairments. Dr. Kenyon is a member of the Committee of Content Experts for the Pediatric Specialty Council and serves on the Item Writer Taskforce for the Physical Therapist Assistant National Physical Therapy Examination. Dee, a physical therapist for 30 years, is a past administrator and co-owner of Integrity Home Health Care, Inc. – a locally owned and operated Medicare-certified home health agency. Dee now provides training and education to home health industry providers through a consulting business, Kornetti & Krafft Health Care Solutions, with her business partners Cindy Krafft and Sherry Teague, where she serves as its Chief Operations Officer. Dee is nationally recognized as a speaker in the areas of home care, standardized tests and measures in the field of physical therapy, therapy training and staff development in the home health arena. Dee is the immediate past Editor of the Quarterly Report, a publication of the American Physical Therapy Association’s (APTA) Home Health Section , as well as member of the Home Health Section’s Practice and Education Committees. She currently serves the Home Health Section as its Program Chair for annual conference educational activities. She has been an active member in good standing in the APTA since 1986. She is also the President of the Association of Homecare Coding and Compliance, and a member of the Association of Home Care Coders Advisory Board and Panel of Experts. Dee is a published researcher. You can find her research on the Berg Balance Scale. She has also co-authored Home Health Section resources related to OASIS, goal writing and defensible documentation for the practicing therapist.Dee received her B.S. in Physical Therapy from Boston University’s Sargent College of Allied Health Professions, and her M.A. from Rider University in Lawrenceville, NJ. Her clinical focus has been in the area of gerontology and neurological disease rehabilitation. 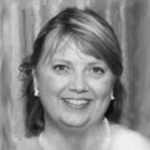 Cindy Krafft PT, MS brings more than 18 years of home health expertise that ranges from direct patient care to operational and management issues. Years spent in the homes of patients solidified that this was the best setting to be in to really focus on functionality and the specific challenges faced by each patient. Recognition that the providing care in the home environment is different than any other setting is clearly evident in both training and consultation activities. For the past 5 years, Cindy has been a nationally recognized educator in the areas of documentation, regulation, therapy utilization and OASIS. She has served in several national projects such as the Delta Excellence in Therapy Project as well as an expert resource for OASIS Updates. Her focus is on providing the knowledge and tools to operationalize external requirements while keeping the driver of care where it needs to be – the needs of each patient being cared for in the home setting. Cindy has been involved at the senior leadership level for the Home Health Section of the American Physical Therapy Association and is the current President of that organization. She has been working with APTA and CMS to clarify regulatory expectations and address proposed payment methodologies to ensure the long term participation of therapy services in home health. She has written 2 books – The How-to Guide to Therapy Documentation and An Interdisciplinary Approach to Home Care. Dr. Morris is currently an Associate Professor in the Dept. of Physical Therapy at Wingate University, Wingate, NC. Prior to coming to Wingate, he served as Director of Rehabilitation Services at St. Jude Children’s Research Hospital for 2 yrs. (2011-2013) and as a staff physical therapist and supervisor of clinical research in the Dept. of Rehabilitation Services at UT MD Anderson Cancer Center (2006-2011). While at UT MD Anderson Cancer Center he developed an interest in the use of outcome measures in the oncology setting, the rehabilitation of stem cell transplant recipients and pulmonary rehabilitation which continues at Wingate University. He earned a PhD (1984) in exercise physiology from UT Austin and completed an NIH funded postdoctoral research fellowship in muscle biochemistry at UC, Irvine. He has taught in the PT programs at Texas Woman’s University and Texas Tech Health Sciences Center. Since earning his PT degree he has published 31 journal articles, contributed to two book chapters on oncology, and made both educational (7) and research presentations (5) at Combined Sections Meeting. He has presented his research at geriatric, sports medicine, clinical oncology and regional physical therapy meetings. He is past Treasure of the Oncology section and currently serves as Chairman of the Oncology Section’s research committee. Additionally he is on the editorial board of the Section’s journal and teaches continuing education classes dealing with exercise for the cancer survivor for the Section. Dr. Cynthia (Cindy) Neville, PT, DPT, WCS is the Director of Pelvic Health and Wellness at FYZICAL Therapy and Balance Centers. She is a board certified Women’s Health Certified Specialist (WCS) by the American Physical Therapy Association. Her outpatient clinical practice at FYZICAL in Bonita Springs, Florida primarily serves women and men with pelvic floor disorders such as urinary incontinence, constipation, and pelvic pain, and women with musculoskeletal impairments related to pregnancy and childbearing. 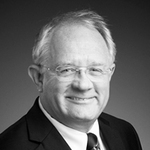 Dr. Neville has authored and co-authored several research articles in the area of pelvic health rehabilitation. 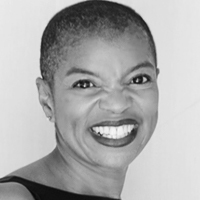 She is a nationally and internationally recognized educator and speaker in the clinical practice area of pelvic and women’s health and rehabilitation. She developed the first credentialed physical therapy women’s health residency program in the state of Florida at Brooks Rehabilitation. She has trained hundreds of physical therapists, physical therapist assistants, and physicians in pelvic floor examination and rehabilitation. 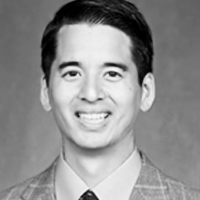 David is a Clinical Specialist at Mass General Sports Physical Therapy and the Director of the MGH / Northeastern University Sports Physical Therapy Residency Program. He received a Bachelors of Science degree in Physical Therapy from Northeastern University in 1997 and completed his Masters of Science degree with an Orthopedic Specialization and Doctor of Physical Therapy degree from Massachusetts General Hospital Institute of Health Professionals in 2007. During his graduate studies, he was awarded the Barbara Adams Fellow Award for his leadership and dedication to the profession. Dr. Nolan is a board certified Orthopedic Clinical Specialist and Sports Clinical Specialist through the American Board of Physical Therapy Specialties and a Certified Strength and Conditioning Specialist through the National Strength and Conditioning Association. David is also an Associate Clinical Professor at Northeastern University in the Department of Physical Therapy, Movement and Rehabilitation Sciences as well as a Graduate Lecturer in the College of Professional Studies in the transitional Doctor of Physical Therapy Program at Northeastern University. David has lectured nationally on running related injury, functional biomechanics, gait and lower quarter dysfunction. He is a past recipient of the “Excellence in Clinical Teaching” award from the New England Consortium of Academic Coordinators of Clinical Education. Dr. Nolan was also presented with the 2016 award for Outstanding Achievement in Clinical Practice by the Massachusetts Chapter of the APTA. His research has focused on the impact of abnormal biomechanics on injury in an orthopedic population. 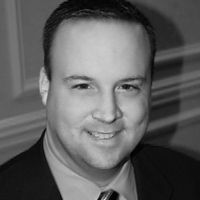 David’s areas of expertise include sports medicine, orthopedics, and manual therapy. He evaluates and treats patients with a wide range of musculoskeletal diagnoses and utilizes video analysis to assist in biomechanical evaluation and patient education. He coordinates physical therapy care at the finish line of the Boston Marathon and works extensively with athletes at all levels, elite runners, and professional dancers. Dr. Sah attended college and medical school in Philadelphia, PA. He completed his orthopedic residency at Harvard in Boston and his fellowship training at Rush University in adult joint reconstruction in Chicago. He is an orthopedic surgeon specializing in hip and knee replacement surgery at the Dearborn-Sah Institute for Joint Restoration in Fremont, CA. Currently he is the Medical Co-director of the Institute for Joint Restoration, Director of the Outpatient Joint Replacement Program, and Chair of the IJRR Research Committee, and Chair of the Orthopedic Dept at Washington Hospital. He presents research at national meetings and is the author of multiple publications in peer-reviewed journals. He is involved with leadership committees on the state and national level, including the California Orthopedic Association, American Association of Hip and Knee Surgeons, and the American Academy of Orthopedic Surgeons. Lori Sherlock is a long-time supporter and educator in the field of aquatics. She has been involved with various elements of the aquatic industry since the late 90’s including therapy and rehab, exercise and personal training, in addition to management and pool operation. As an Associate Professor in the School of Medicine within the Division of Exercise Physiology at West Virginia University, Dr. Sherlock has the opportunity to educate and train students through the Aquatic Therapy Emphasis. Her extensive training in the field along with her ample certifications allows for the Aquatic Emphasis to cover the continuum of care within both the exercise and rehab settings while including pool operator certification and managerial guidelines. 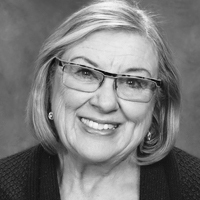 Mrs. Sherlock has been involved with the Aquatic Exercise Association, Arthritis Foundation, Aquatic Therapy and Rehab Institute, as well as the National Swimming Pool Foundation for a number of years as a contributing speaker, author, and researcher. Casey Unverzagt is the director of the Slippery Rock office of Wise Physical Therapy and Sports Medicine. He received his B.S. from the University of Puget Sound in Tacoma, Washington and his Doctorate in Physical Therapy from Slippery Rock University of Pennsylvania. He completed his Doctorate of Science in Orthopedic and Manual Physical Therapy from Andrews University in Michigan. Dr. Unverzagt completed a post-graduate sports residency in White Salmon, Washington, after which he became a board certified sports physical therapy specialist. Dr. Unverzagt is also board certified in orthopaedics, and is a certified manual physical therapist (CMPT) through NAIOMT. He currently teaches for Slippery Rock University, Scorebuilders, Evidence in Motion, and is the author of the popular EIM SCS Prep Course. He is also completing his fellowship in orthopaedic and manual therapy through Evidence in Motion. He lives in Grove City with his wife, Emily, and three boys: Josiah, Bereket, and Tamagn. With any free time, you'll find him running, cycling, or hiking.